In honor of Black History Month, I will be featuring the work of Black designers from around the world each day this month. 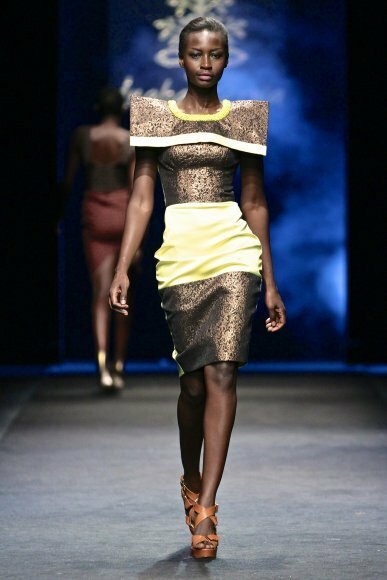 Duaba Serwa is a Ghanaian designer whose work is a perfect blend of traditional fashion with contemporary style. I love the bold mix of patterns in African printed fabrics together with modern cuts that emphasize the beauty of a woman’s figure. I was privileged to have met the designer at the Ghana Fashion & Design Week events in October 2012. The craftsmanship of her work and the way she puts things together really represent the new modern woman to me.